Last September President Obama cited his drone program in Yemen as a successful model of US anti-terrorism strategy. He said that he would employ the Yemen model in his effort to “degrade and ultimately destroy” ISIS in Iraq and Syria. But just a week ago, the government in Yemen fell to a Shiite militia movement thought to be friendly to Iran. The US embassy in Yemen’s capitol was forced to evacuate personnel and shut down operations. If Yemen is any kind of model, it is a model of how badly US interventionism has failed. In 2011 the US turned against Yemen’s longtime dictator, Saleh, and supported a coup that resulted in another, even more US-friendly leader taking over in a “color revolution.” The new leader, Hadi, took over in 2012 and soon became a strong supporter of the US drone program in his country against al-Qaeda in the Arab Peninsula. But last week Hadi was forced to flee from office in the coup. The media reports that the US has lost some of its intelligence capability in Yemen, which is making it more difficult to continue the drone strikes. Nevertheless, the White House said last week that its drone program would continue as before, despite the disintegration of the Yemeni government. 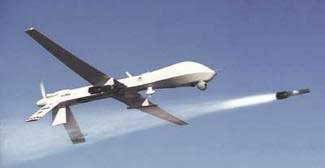 And the drone strikes have continued. Last Monday, in the first US strike after the coup, a 12 year old boy was killed in what is sickeningly called “collateral damage.” Two alleged “al-Qaeda militants” were also killed. On Saturday yet another drone strike killed three more suspected militants. Read the rest via The Failed ‘Yemen Model’ by Ron Paul — Antiwar.com.